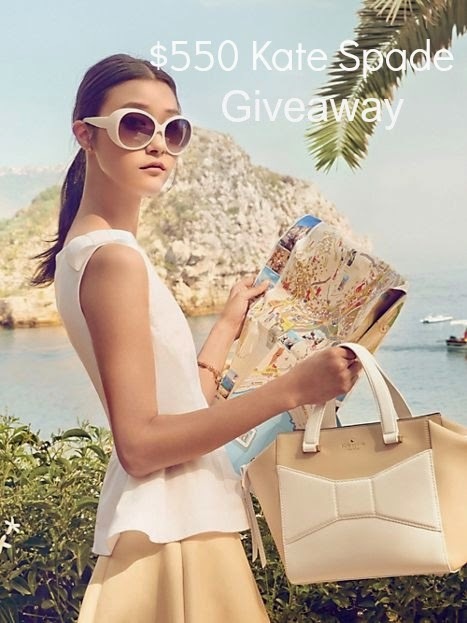 Kate Spade Giveaway: 2 Winners!! Today I am teaming up with Kiss Me Darling and 31 other fabulous bloggers to bring you a $550 Kate Spade giveaway. Yep, you heard that right. $550 split between two very lucky winners, to use at any Kate Spade online store. The great thing about Kate Spade, is that it’s not only a great place to shop for your every day fashionista, but also for all you mommies out there. They have diaper bags ladies! Rule 1: Giveaway will run for one week and the winner will be announced on Friday the 18th. Rule 2: The winner’s entries will be verified. Next Post Who Wears Shortalls? wow what an amazing giveaway! i was just in a kate spade store yesterday and was oohing and ahhing over their capri lemons line. since my husband and i just returned from a trip there all those pieces were super special to me! Wow! Such a great giveaway, and so many great bloggers! So glad we were able to team up on this giveaway together!! You are darling and I can't wait to see who wins. This would be amazing to win! Thank you so much! i would love a beau bag of my very own!